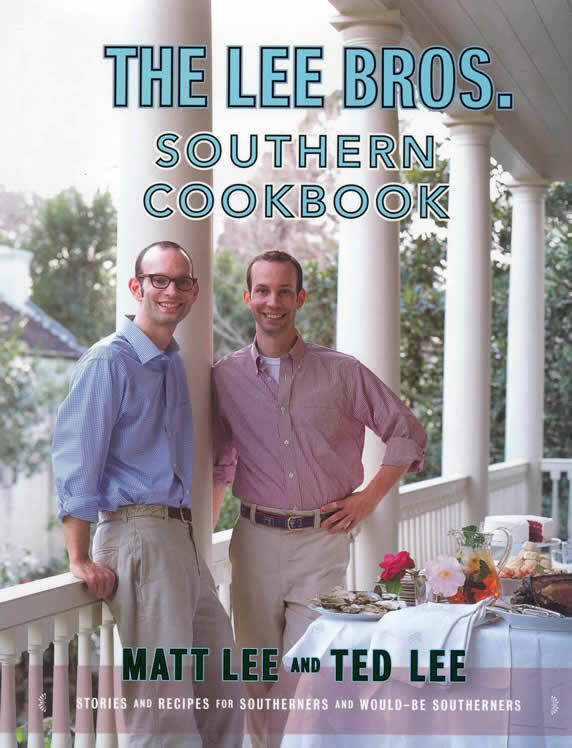 Dot gave me The Lee Brothers Southern Cookbook for Christmas a few years ago and, as sometimes happens when you get cookbooks (or enormous soup pots or aprons) very often, it hasn’t gotten its fair share of airtime. 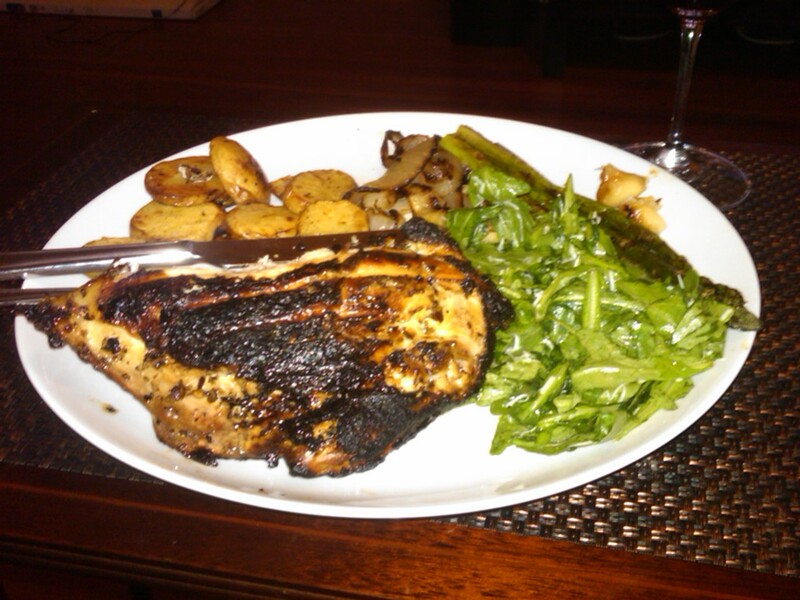 So yesterday I did what any rational 28-year-old woman would do: I threw a hissy fit and insisted we incorporate it into our dinner despite the fact we already had plenty of food and we had no idea whether or not it would be good. As is seldom the case, my age-inappropriate behavior paid off. This dish had a lot of flavor yet was not difficult to make (though I did read the recipe 10+ times because my mind was only working at half-speed yesterday). 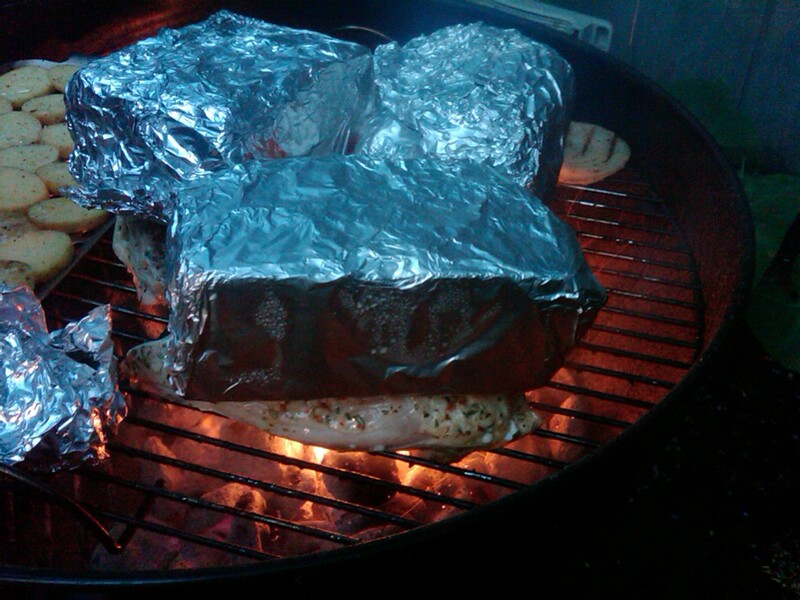 I think The Chef dosed it with some extra red pepper flakes which gave it great heat. I’d even be willing to stake RipleyPickles’ name on this one because I totally don’t care about rice, but this was legitimately nummy. I’m thinking next time we amp it up with andouille and take it to main-dish status. 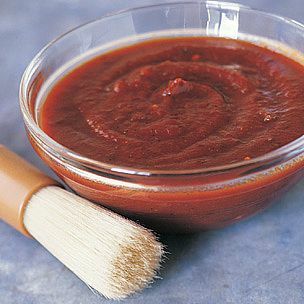 In a food processor puree tomatoes, crushed red pepper flakes, paprika and seasoning. Set aside. In a large skillet fry bacon, remove with slotted spoon and set aside. Saute onion and garlic in bacon fat over medium heat until soft. 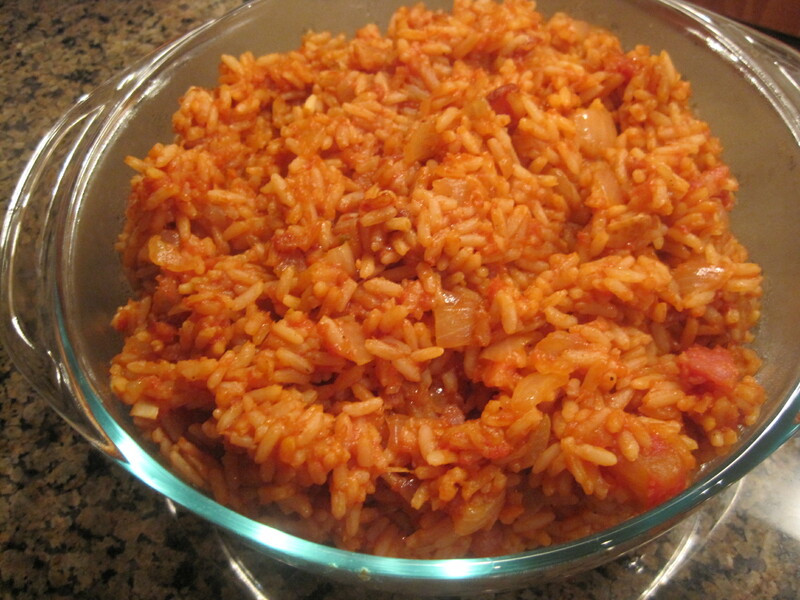 Add rice and cook for 2 minutes, stirring frequently. Add 2 cups broth and mix. Add tomato mixture to skillet and bring to a boil then reduce and cover. Simmer for 20 minutes. Make sure rice is still slightly “soupy” (add extra broth if necessary), and transfer to oven. Bake for 25 minutes or until liquid has been absorbed. Stir in bacon and serve. Nummo.